Created by illustrator Kelli Murray, Rylee & Cru offers unique, modern clothing for babies and kids. Each piece is designed for comfort and ease, and garment-dyed for a vintage look and feel. 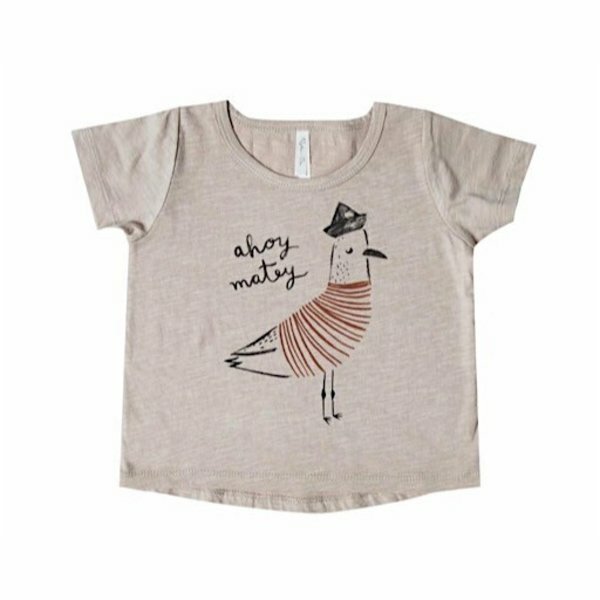 A soft unisex t-shirt with a modern curved hem and fun seagull print. 100% cotton slub jersey. Machine washable.